Researchers doing studies on aging and the relationship mitochondria have with the body made an interesting finding regarding the cause of previously unexplained inflammation in the body. Mitochondria are a part of every cell in the body. They make the energy we use every day by converting our food into primary glucose. Then they combine the primary glucose with oxygen and turn it into adenosine triphosphate, or ATP. ATP is the basic unit of energy that our body uses for everything; including walking, sleeping, eating, and more. We generate an amount of ATP equal to our body weight every day. Furthermore, ATP is used instantly once it is made. When our mitochondria are healthy, they protect us from many serious diseases, like cancer or autoimmune diseases. If they are unhealthy, mitochondria can accelerate the aging process. Researchers found that mitochondria have another function that was previously unknown; they are responsible for gathering and removing debris from our cells. 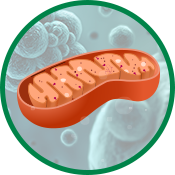 Mitochondria are mobile and move around the cell they reside in, gathering and consuming debris. When they gather enough debris, they divide in half, excreting the debris from the cell. R esearchers also found that if the mitochondria were not functioning well and not removing the cellular debris, then that cell responds to the increase in cellular debris by triggering the inflammatory process. This means that if your mitochondria are not healthy and functioning properly, then the levels of inflammation in the body rise. Higher inflammation levels can damage the body over time, which cause you to age more rapidly. The Harmony Company carries products from American BioSciences that are made of the highest-quality ingredients to help your body function properly. 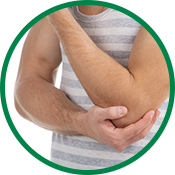 By supporting your body with the natural supplements it needs from American BioSciences, you can help your body reduce inflammation and feel your best. Shop online today!